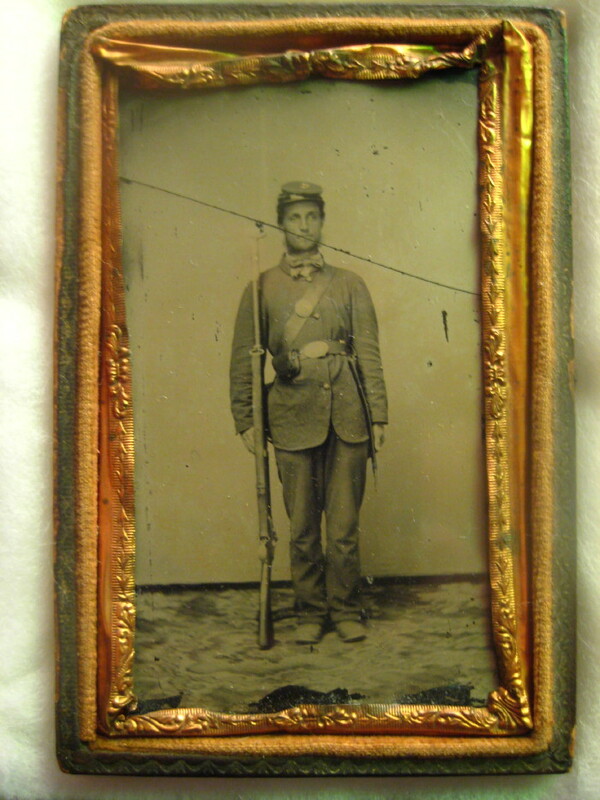 Thanks to Edward Smith for contributing this wonderful full standing tintype of Pvt. 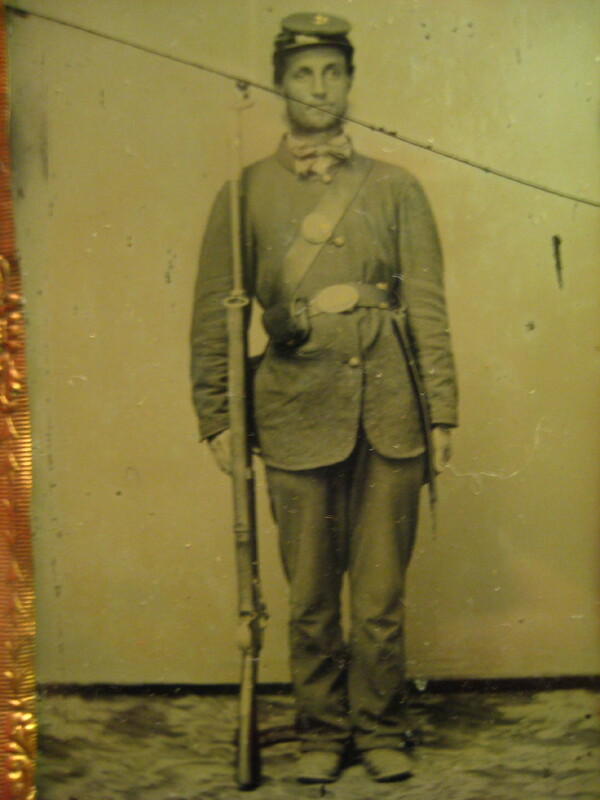 William D. Boyd, Co. D in his uniform with 4-button sack coat, full leather traps, rifle-musket with socket bayonet and wearing a fancy bowtie for the photographer. Note: Company "D" insignia on top of forage cap.